Dirty, weathered pet door? Not for this house! 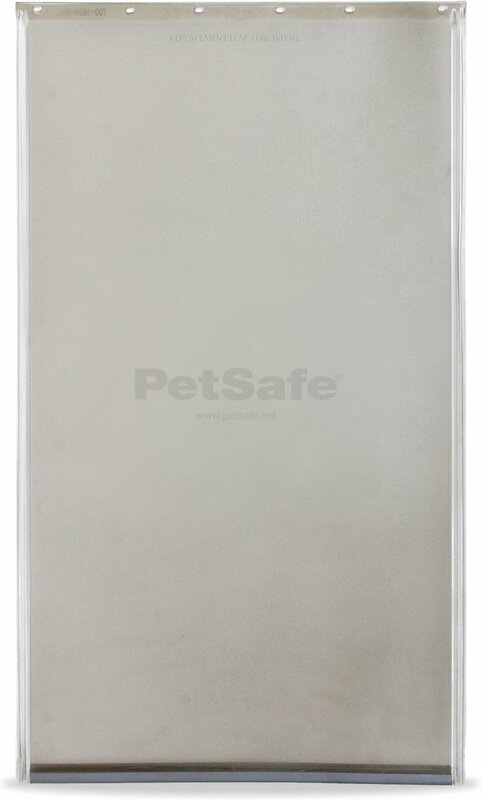 Fit your furry family member's door with a brand new PetSafe Pet Door Replacement Flap. The soft, vinyl flap has a magnetic closure and installation couldn't be simpler… if Shelby had thumbs on her paws she could do it herself! 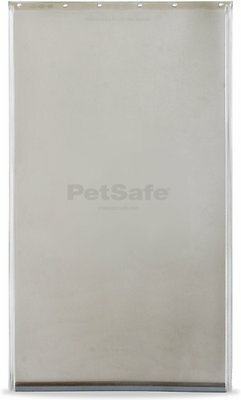 The PetSafe Pet Door Replacement Flap is compatible with the Freedom Aluminum Pet Door, the Plastic Pet Door, the Extreme Weather Pet Door, and Freedom Patio Panel Pet Doors. Soft, tinted vinyl, single flap. 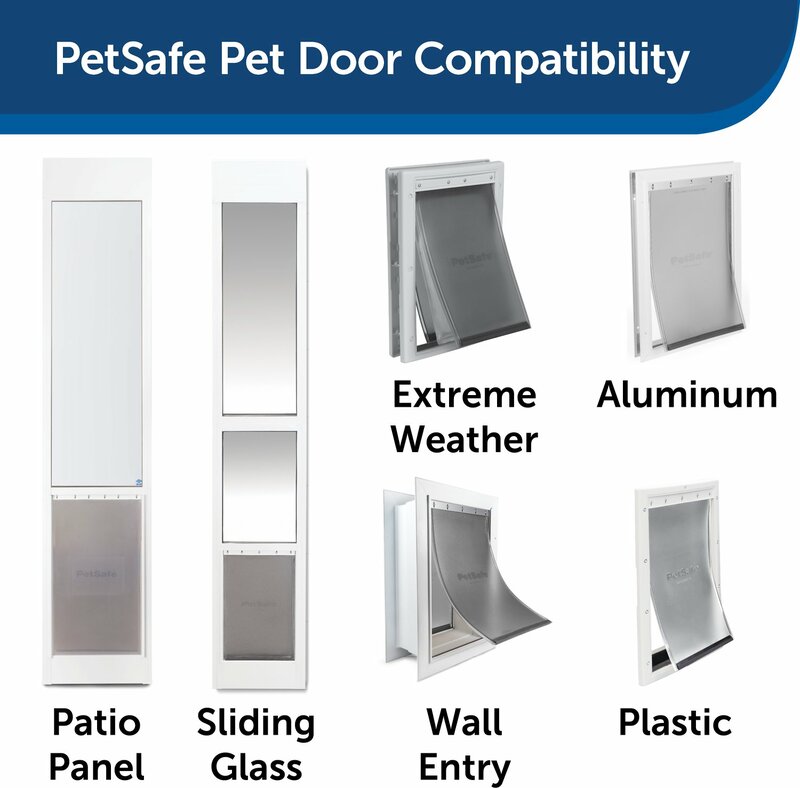 Compatible with: Freedom Aluminum Pet Door, Plastic Pet Door, Extreme Weather Pet Door, Freedom Patio Panel Pet Door, and Wall Entry Aluminum Pet Door. Does not fit my door. Dimensions were close. Requires screws to install. Did not come with replacement plastic door screws. Why plastic screws? Each one stripped out when removed to replace the door. Trying to make it work. Not Chewy’s fault. Door was well priced and package arrived timely and without damage. Our two dogs use the pet door continually day/night, most times flying through. 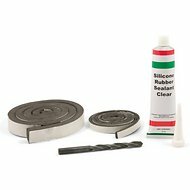 The flap takes a lot of use and usually lasts several months before needing to be replaced. The new flap fits like the original and is easy to install. This door would be better in warmer climates. I live in Minnesota and when it gets really cold they freeze and break. This is the 3rd door in 3 years that has broken when it gets around zero degrees. Wish they had a cold weather door for the extra large size doors. Don't get me wrong, I LOVE having my dog door and this flap is just as good as the rest. The trouble I run into is that my super chewer has no problems chewing off corners, or onetime just ripping it right out of the door because it was in his way. It's a design flaw I've already contacted the company about. But Chewy has competetive prices and with cash back from Ebates it's the best place to buy them from! The dog door I have needed the flap replaced because the plastic was tearing after 3 dogs had ran through it 2000 times a day for about 3 years. Found it cheaper on chewy.com than the manufacturer website! Ordered this on Monday evening, delivered by Wednesday early afternoon, installed in minutes. Fantastic! This pet door is awesome and extremely durable. I have 6 fur babies that constantly go in and out and my last one lasted over 6 years. Although this product may be great, the video shows a different style replacement flap. I needed the one in the video but unfortunately, the product I received doesn't fit the pet door. Chewy customer service was fantastic and refunded my cost. Yes This flap fit perfect and yes at an awesome price..I would recommend this replacement flap to any one. I do wish the attachment hardware came with this replacement flap. This produce was delivered so fast I could not believe it. Highly recommend this produce.. This door was replacing one that was about 20 years old. (I really appreciated the part number printed right on both doors.) With the cordless drill, I was able to swap the doors out in less than 20 minutes. New magnet, straight door, and now I don't have a 1/2 inch gap on the side!